MSHA’s annual Winter Alert campaign reminds miners and mine operators of the increased hazards of colder weather. Throughout the campaign, MSHA personnel regularly visits mines throughout the country to heighten awareness of the changing conditions that occur during winter months and distributes materials that focus on best practices. 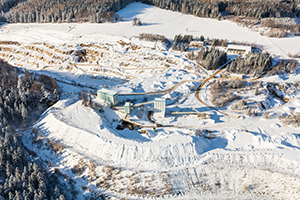 “The cold winter months bring an increased risk of underground coal mine explosions, as well as an increase in hazards associated with ice and snow that collect at surface facilities and preparation plants,” said David Zatezalo, Assistant Secretary of Labor for Mine Safety and Health.